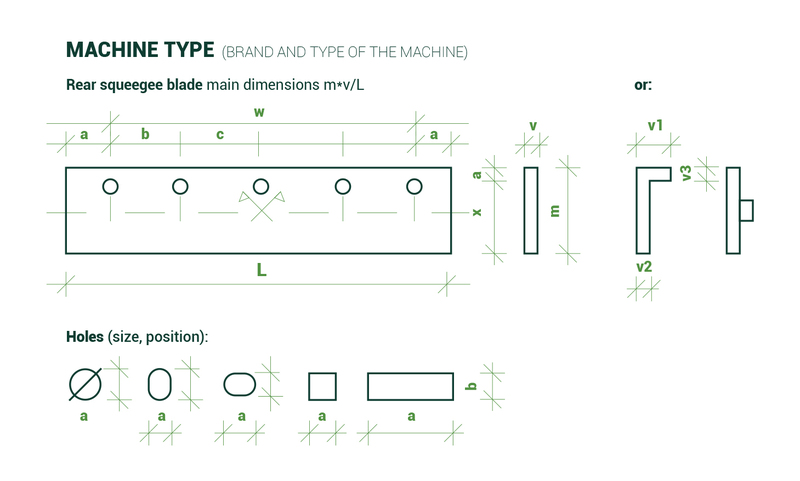 If you have a sample, we can even produce customized blades. However, we need precise measurements for manufacturing. This section gives tips about obtaining the measurements. Measuring the distance between two holes isn’t trivial, since technical drawings often feature the distance between the centers of the holes. Nevertheless, the same result can be obtained by measuring the distance between the edges of the holes on the same side. This avoids estimating the center of the holes at a glance. This method works for all hole shapes: round, oval, rectangle. 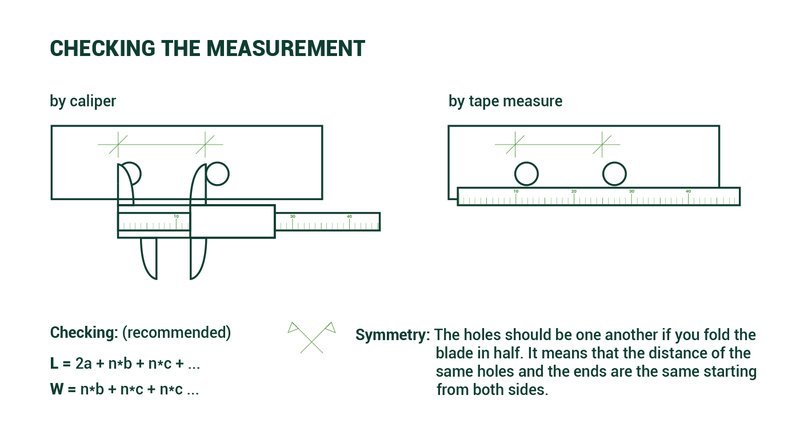 In order to measure the distance between the hole centers and the edge of the blade (variable “a”), it is sufficient to add half of the hole diameter to the distance between the edge of the hole and the edge of the blade. This diameter can be measured easily: set the caliper to the maximum size that fits into the hole.